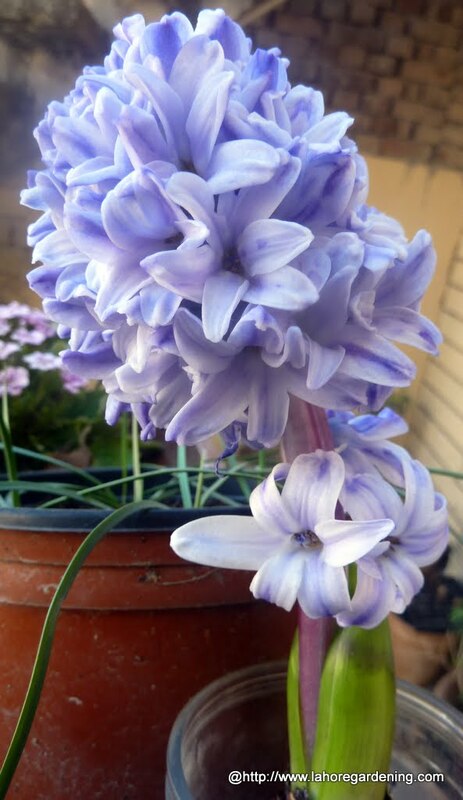 In this post i will present to you Heliotropium arborescens and Hyacinth flowers. 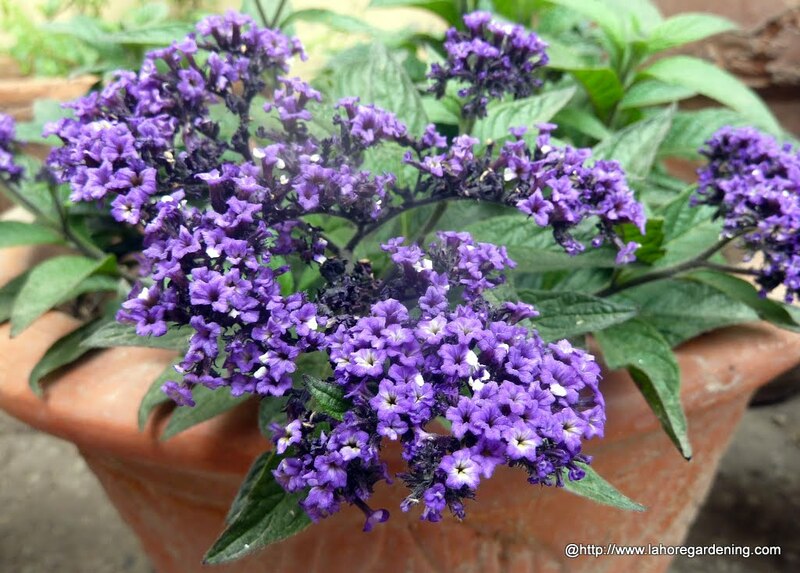 Heliotropium arborescens “marine” is a a very fragrant compact annual/perennial flower. Flowers cover the whole plant and vanilla fragrance is very strong. I bought seeds from chilterns seeds UK and sowed the seeds in October 2012 and it germinated in November 2012. It started flowering in March 2013. An annual in cold areas but tender perennial in warm climates like mine. Not sure how it will handle the extreme summer heat and monsoon humidity but the fragrance is really worth it. I will save seeds if it forms seeds. There is an extra dwarf variety of helitropium as well which is called “mini marine”. 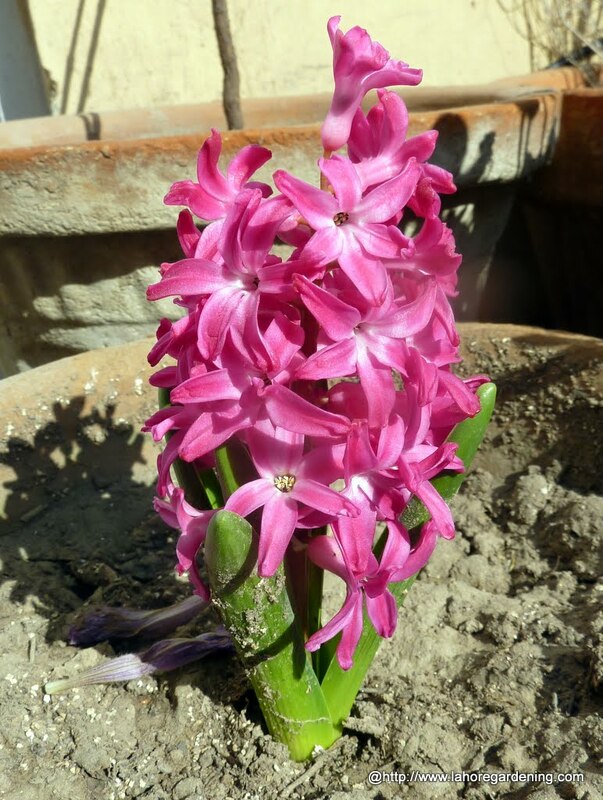 Talking of fragrant flowers, Hyacinth is very fragrant spring bulb. 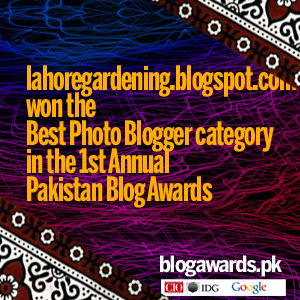 It grows very good as annual in lahore. It is also successfully forced in special water jars. You can check out my detailed guide on growing hyacinth. It is amazing that each color of hyacinth has unique fragrance. You will find around 7 different colors of Hyacinth from the stores. Sometimes hyacinth gives second flowering stalk too but that it not often. Hyacinth bulb is not worth saving for next year and must be bought again. It is at home in the cool climate and high altitude. Very Beautiful Khabbab, just as expected from you. Please do the same for Dahlia Tubers also. Ratan.